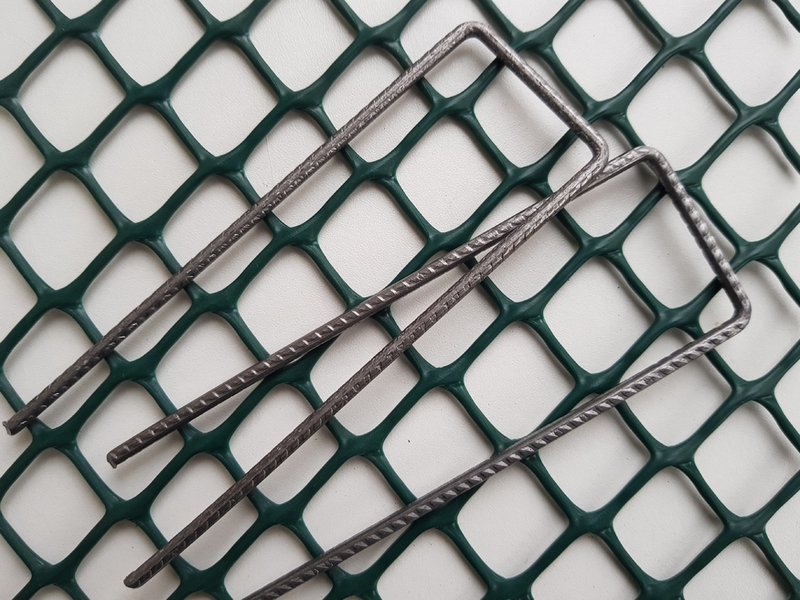 How many fixing pins for grass reinforcement mesh? 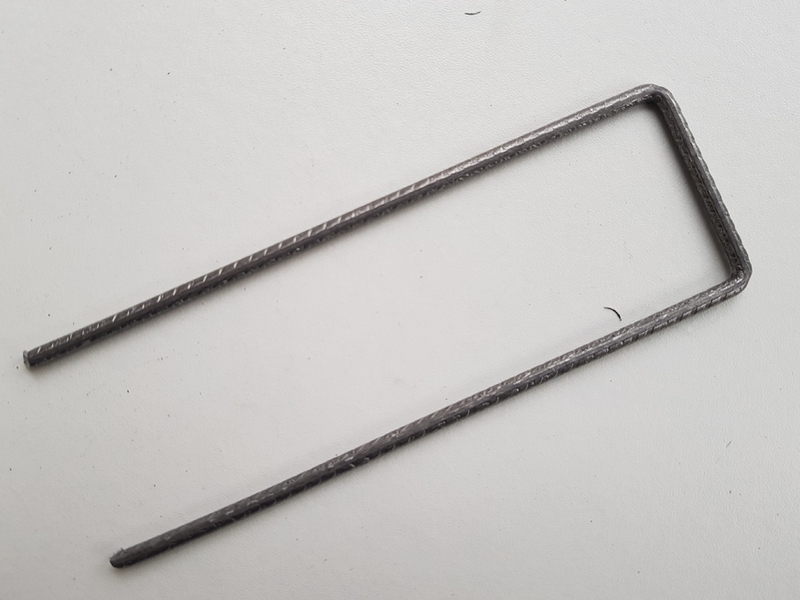 Use the guide below for our suggested minimum quantities of grass mesh fixing pins to keep the plastic turf reinforcement mesh secure and flat to the grass surface. We always recommend more than less if you budget allows. 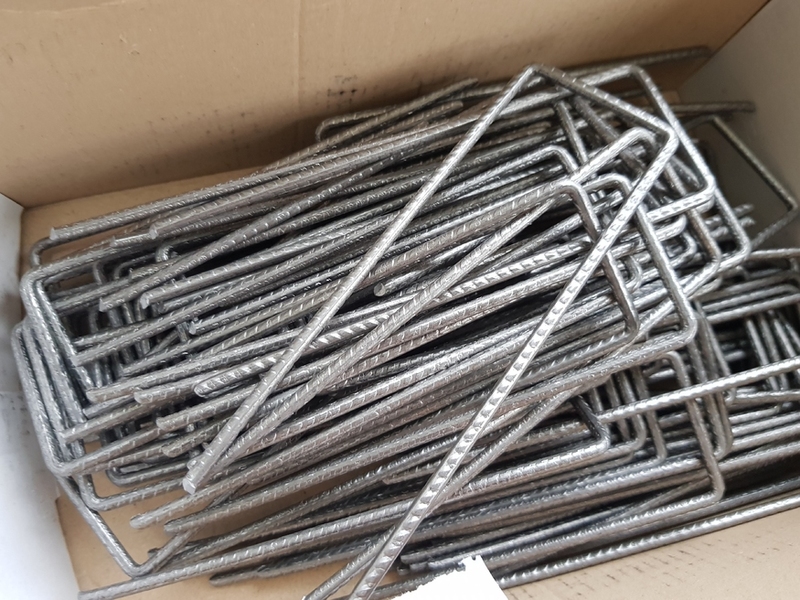 100 pack of steel U-Pins for used with lighter-weight turf and grass reinforcement mesh. 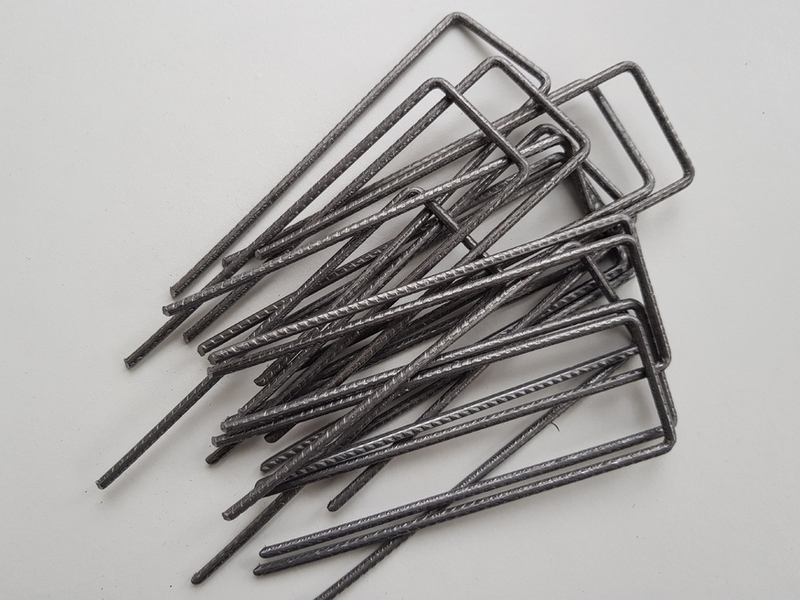 These economy ground anchor pegs are manufactured from 4mm diameter steel rebar material. 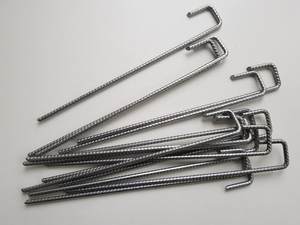 These U-Pins are perfect to secure plastic turf reinforcement mesh to the ground. They are also ideal for fixing weed control fabrics and are handy on allotments to keep tunnels, cloches and anti bird netting secure. 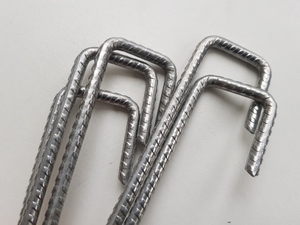 For our range of thicker grass reinforcement meshes, we recommend our heavier-duty Steel U-Pins.